• The purpose of the community section of the E-Blast is to inform the JLG membership of events, news or activities in the community. • Community section E-Blast submissions will only be accepted from non-profit (501(c)3) corporations and governmental entities. • The following types of information will not be published: information from religious or educational institutions; information for a specific political party or anything that might be considered partisan. • Each community entry should include a short phrase to catch people’s attention along with your submission of 300 characters or less. • The E-Blast entry should be submitted via the www.jlgreenville.org website, only. No logos or graphics will be included; no attachments will be included. • Each submission can run two (2) consecutive times. • Submissions will not be accepted more than 4 weeks prior to the desired date for inclusion in the E-Blast. • JLG reserves the right to edit any submission prior to running; these policies can be changed at any time by the JLG Board of Directors; JLG reserves the right to deny inclusion of any material in its Community E-Blast. *What is the website address we can include as a link with more details for your event? *Please enter your event description for the E-Blast text (maximum of 300 characters). The E-Blast is sent out on Wednesdays at least once a month throughout the year. The deadline for submission is Friday, prior to the Wednesday E-Blast. Check out the 2018-2019 E-Blast editorial calendar to see when the next E-Blast is scheduled to go out to the membership. If you miss the deadline, we will carry it over to the next E-Blast if it is appropriate. If you do not receive a response from JLG within one week of submission, please re-submit or contact JLG Headquarters. Thank you! 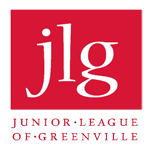 Junior League of Greenville Inc.